Everybody has to start somewhere. And in business, this adage applies doubly so because the paths entrepreneurs and business owners take can be varied and unpredictable. Some have that entrepreneurial spirit at a young age and make millions by the time they’re 30. Others are just getting started at 40. All paths are equally valid and all provide valuable lessons for those looking to launch their own businesses. That’s why we wanted to spend some time talking with successful WordPress business owners to see what they were doing when they were 25 years-old and how they used WordPress to get to where they are today. The stories that follow are very different. These designers and developers come from all walks of life and have found success at different ages. No matter the details, I think you’ll find their stories inspiring. “I was making AU$600 a week and living in a one-bedroom apartment, literally right next door to some heroin addicts,” James says. James Farmer runs Incsub, the company behind WPMU DEV. “And the reason I knew they were addicts was because they didn’t have a phone and they were always overdosing. He didn’t have a car and walked to the grocery store each week with a rucksack to do his shopping. He says all this with a smile, of course. These days, James runs Incsub, the parent company of WPMU DEV and Edublogs, the latter of which is the largest education blogging platform on the web. You can read more about his WordPress story in How an English Lit. Grad. Who Didn’t Know PHP from FTP Bootstrapped a Successful WordPress Company. He first got involved with WordPress in 2005, using it mostly for blogging. 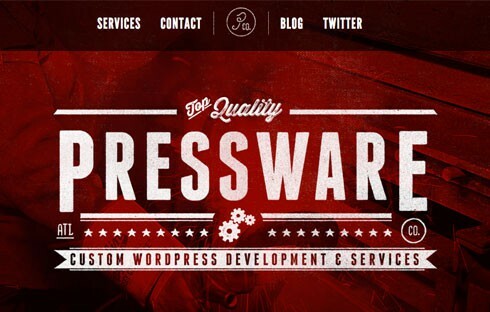 Tom McFarlin runs WordPress development agency Pressware. He notes that this was before GitHub, so it helped having a blog presence when going to interviews for jobs. “My first foray into doing any type of development with WordPress was taking the basic theme, Kubrick, and then making some customizations to its functionality,” he says. “Granted, this wasn’t done in ‘The WordPress Way’ — it was mainly editing a couple of PHP files, making some calls, and then getting the functionality out of it that I wanted,” but it got the job done and opened the door to more serious WordPress development. Brad Williams, CEO and Co-founder of WebDevStudios.com, was working as a developer at the eCommerce website Batteries.com located in Indianapolis when he was 25. The experience taught him a lot about other things, like what it takes to fully support technology at the small business level. “The best thing I learned in the military is that no matter how bad it is, it could always be worse,” he says, with a smile. Carrie Dils is a software developer and consultant. Software developer and consultant, Carrie Dils was working with a web consulting company in Dallas, TX when she was 25 and she was first introduced to WordPress by a guy she worked with in around 2012. Emily Journey was studying to be a social worker and counselor when she was 25. “I had this idealized view of what it meant to help people,” she says, but, “it turns out I only like to help people who want my help!” And in her case, that meant launching a WordPress training business. Emily Journey is a successful WordPress trainer. A negative experience with web devs in the past also sent her out on the path toward becoming a trainer. At 25, Pippin Williamson, founder of Easy Digital Downloads, AffiliateWP, and Restrict Content Pro, was in his first year of building Easy Digital Downloads. Obviously, some people find success earlier than others. Pippin Williamson is the founder of Easy Digital Downloads. He describes himself as being “obsessed” with building his WordPress plugin portfolio and making it a sustainable business. Allan Fuelling runs Fuel Web Media, a digital marketing agency. He had worked as a server jockey for five years while going to college so it helped with his job and he ended up moving and getting a job as an IT consultant. “Our clients starting asking if we could do websites for their business and that’s when I got involved with CMS,” he says. When WordPress developer Jill Binder was 25, she worked for a small website agency as a Java programmer and Usability Specialist. Jill Binder is a super hero web developer. She didn’t get involved with WordPress until 10 years later in 2011. She feels it’s her “soft people skills” that have contributed the most to her success. “I’m very good at making people feel heard and understood,” she says. Emily White owns the aptly named agency Emily White Designs. She first started using WordPress in 2010. “After a couple years of working exclusively with Blogger I was excited by the seemingly endless possibilities that WordPress offered,” she says. As a business owner, being able to really listen and understand her clients has contributed largely to her success. Chris Wiegman is a successful WordPress developer and teacher. Now a WordPress developer and teacher, he didn’t get involved with WordPress until he quit flying sometime in 2008. He was working for Southern Illinois University at the time and they needed a system to handle all the required websites for faculty members, staff, student groups, and others at the university. “WordPress foot the bill perfectly,” he says. He attributes much of his success to the combination of his determination and his willingness to change should the need arise. “I’m not afraid to change direction when something isn’t working,” he says. Those two qualities have been a sort of theme in his life, bringing him to where he is today with projects like Better WP Security. 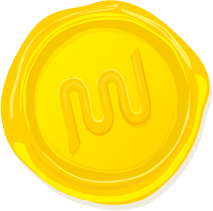 When blogger and Internet marketer (and former WPMU DEV Blog contributor), Kevin Muldoon was 25, he was already working full-time online and was making most of his income in the gambling niche. It was 2004 and at the beginning of the year he was in Australia and Asia then traveled to Asia again at year’s end to explore several countries in South East Asia. Kevin Muldoon is a blogger and internet marketer. He first tried WordPress not too long after it was released. Success with WordPress has largely been about passion. “I am passionate about what I do,” he says. “From a financial point of view, I have not made as much money as some affiliate marketers since I am not willing to lie to my readers in order to push some crappy affiliate product,” he says, but indicates maintaining this integrity has helped him grow a blog with a loyal following. There are many, many other successful WordPress business owners out there right now totally rockin’ it, but hopefully this gives you a good look at what a segment of that group is doing and how they got to where they are. At the end of the day, what these business owners were doing when they were 25 doesn’t matter all that much. What does is how they’ve used WordPress and their own unique qualities (innate or learned) to find success. Now I want to hear from you. If you’ve already carved out a spot for yourself in this WordPress world, how did you do it? What were you doing when you were 25? Also, did I miss your favorite WordPress pro here? Feel free to share below. Great article. Inspiring for many struggling WordPress developers like me. Thanks for sharing! I’m glad you found it inspiring, Arslan! Surely, things always get better with dedication. You can also make use of support forums and other resources online to learn what is required for the custom work or simply outsource, which can be expensive but you can always bargain. Best of luck! James Farmer’s story is the most inspiring one :) Great Article. At 25 I was a newly promoted Lt in the Army and the Internet hadn’t been invented yet, it was 1987, mobile phones were just about to come to reality to the public (I already had one the size of a battery with a phone on the end). The net wouldn’t go public until August 1991. I was proud to own one of these https://en.wikipedia.org/wiki/Macintosh_Plus and was coding away in languages long forgotten on my 40 Mb Hard Drive and 4 Mb of ram (the MacPlus had upgradeable ram). I discovered WordPress in 2007 with Ella and was having fun building sites for a few friends and a couple of W.O.W. websites. An accident in 2008 left me disabled and while I was recovering I spent my time playing WOW, learning more about WordPress and expanding my knowledge, basically brain exercise.